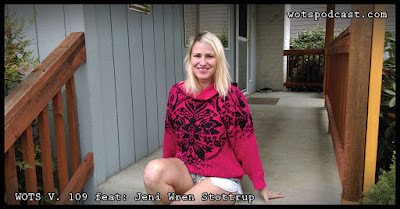 Today on the podcast we have Jeni Wren Stottrup. We get to know Jeni and learn all about her podcast Gritty Birds she takes us on a deep dive of why she started it, what she has learned and where she hopes to take it. We also get to know Jeni better and learn about her musical projects, landing in Seattle then moving to Portland and so much more. I hope you enjoy this conversation as much as I did! Please support the podcast, donate! Click the paypal button on the side bar.